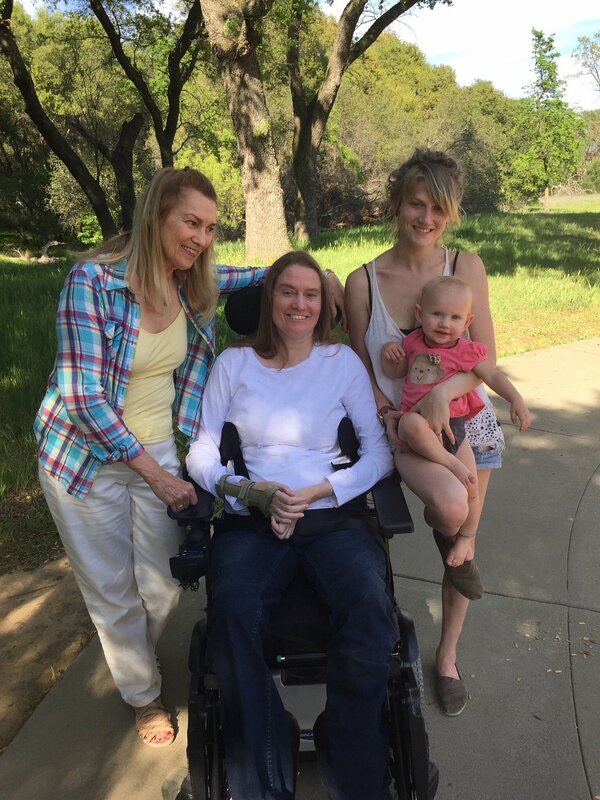 On February 12th, 2012, my daughter, Michele, suffered a catastrophic snowmobile accident leaving her paralyzed from her shoulders down. What was supposed to be a fun afternoon changed her life forever. After spending 1 month in rehab, in Southern California, she returned to her small town to start this new way of life. Due to unfortunate circumstances, she was unable to continue with therapy, so what progress she had made in rehab soon deteriorated. After 1 ½ years she was able to relocate to a better situation and is now getting the help she needs. Michele is a graduate from Chico State in Liberal Studies. Her passion for education led her to teach life skills to special education, hearing impaired high school students. She was one of the few sign language interpreters and had an amazing gift connecting with this population; and really made a difference in their lives. She also had a love for cooking, so during the summer she prepared and cooked meals for the students attending UC Berkeley Forestry Camp. Michele has always been a very active person with an ability to achieve her goals. Her primary goal today is to walk again. 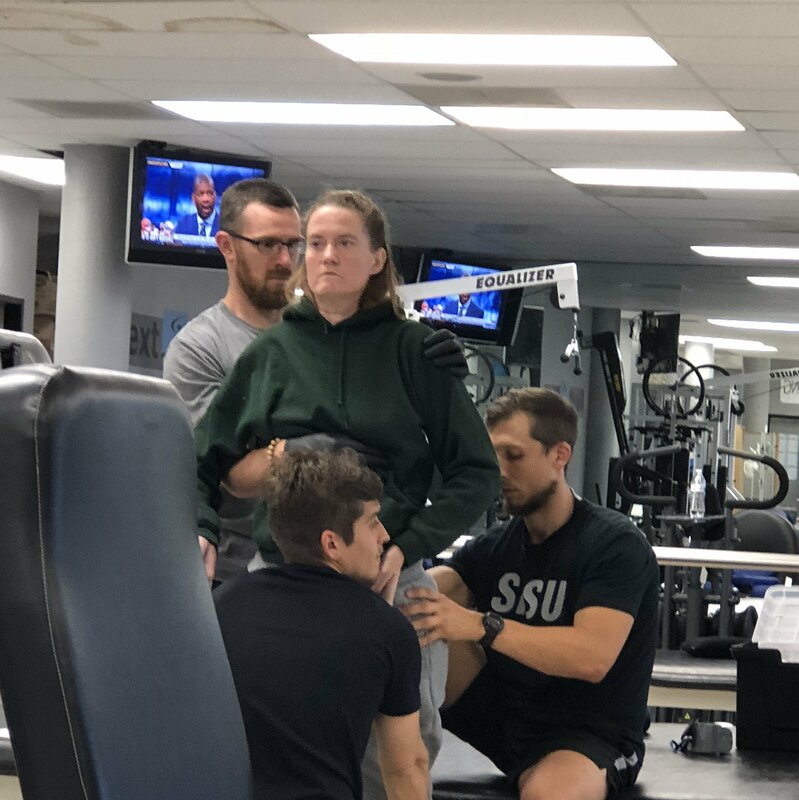 There is a program specifically designed for people with Spinal Cord Injuries using Functional Integrative Therapy called SCI FIT. Michele has shown great progress during her time in the program; however, the ongoing expense has become a burden to the family due to health challenges of other family members. Her insurance does not pay for this therapy. Another major expense is her 15 year old van, retrofitted for her needs, requires ongoing maintenance. Being such an active person, who suddenly requires total care, is a challenge in every way. 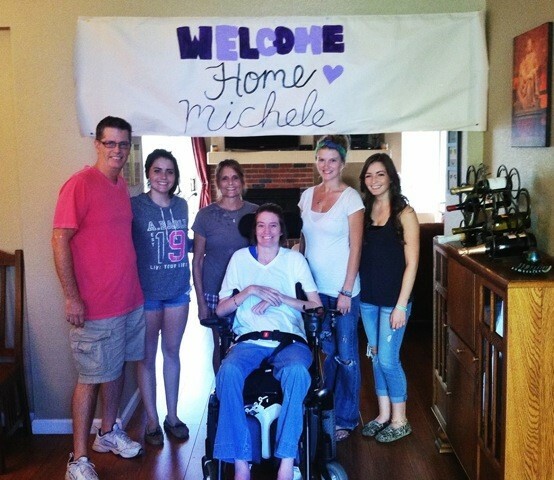 Yet, Michele remains optimistic and hopeful she will again walk and be more independent. She needs to continue SCI FIT, and have reliable transportation to get there, as this is her path to success. To help with the financial burden of Michele’s uninsured expenses, a fundraising campaign in her honor has been established with Help Hope Live, a trusted nonprofit organization that has been providing community-based fundraising guidance to patients and their families for more than 30 years. All donations are tax deductible to the full extent allowed by law, are held by Help Hope Live in the Spinal Cord Injury Fund, and are administered by Help Hope Live for injury-related expenses only. Please consider a contribution. For credit card contributions, please select the GIVE button on this page or call 800.642.8399. Thank you for your support and prayers for Michele. Your assistance is essential to her ongoing recovery. I have been at next step fitness for three months now and keep improving. Thanks for all the support from friends and family! I have relocated to Southern California almost one year ago. In the past two months I have found a new facility, Next Step Fitness in Lawndale CA, to continue my rehabilitation. I am very excited to be back in the gym. Finances are always a challenge for someone in my situation. So far I am working on trunk stability which is already getting better. I will keep you up with all my progress and I think you for all your support. Still working hard after my surgery at SCI FIT. It’s not easy but well worth every bit. I just want to thank everybody who helps me out along the way. I have come so far in the last three years. And look for every day brings me. This Wednesday will be two weeks since I have had my cast off. And today it has been a total of nine weeks since I had my surgery. I had attended transfer so I can have a working tricep. Everything has gone very well, now it’s just training that tendon to work as a tricep. I am able to do things with my arm that I haven’t been able to do since my accident. 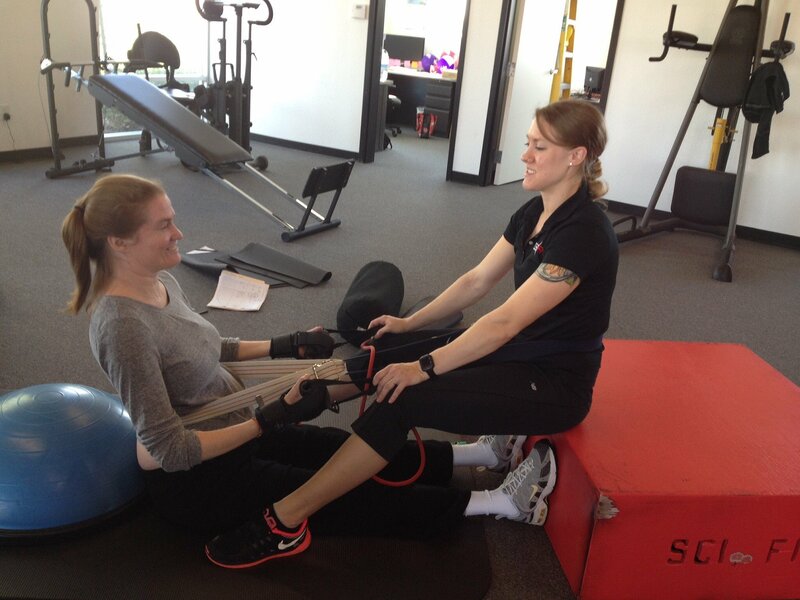 It is very exciting for me to be able to get this mobility back! It’s been a long four years but I was able to hug my daughter on Easter this year! A lot of hard work but well worth it. Thanks for everyone’s help! Still working hard at SCi-fit.Thank you for all of your donations,so I can countine my goals. I am now able to walk in the walker without upper body assistance. I’ve come a long way to be able to do that. The personal trainers at SciFit that are helping me achieve my goal. I am so lucky to have a place like this to go to. SCI FIT. This is where I am working on my seating balance. The goal is to be able to sit unassisted. I want to thank everybody who is supporting my rehabilitation. It means the world to me! Thank you Muriel for your contribution. It means the world to me! I wanted to share my newest accomplishment, I am now feeding myself. It has been 3 1/2 years since I last fed myself on my own. Every time I feed myself I get a little bit better. I’ve shared a few pictures of my accomplishment in my photo album. I am happy to report that I am now using my hand control on my wheelchair. I was previously using a chin control. Bulky device that I wore around my neck. Due to my hard work and dedication I have the strength to control my chair with the hand device. Check back and I will keep you with latest progress and photos.